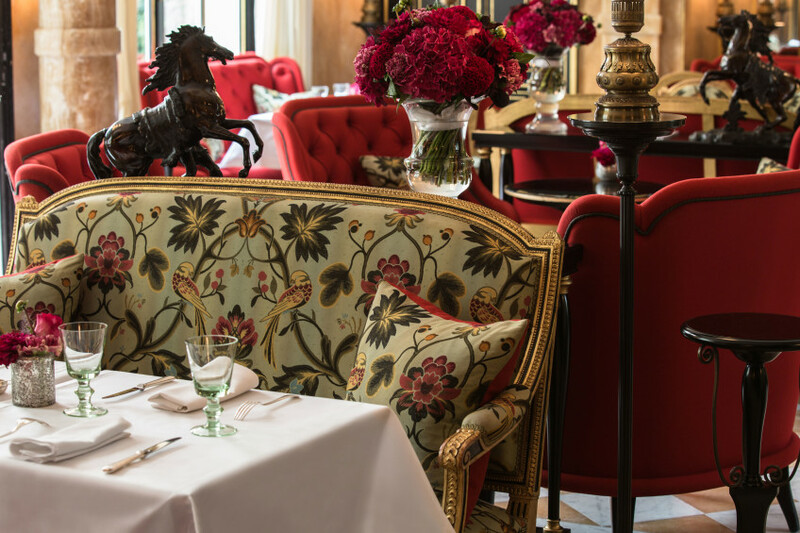 With its plush velvets, gilded mirrors, sumptuous silks hanging from the walls, and beautiful antique furniture, I felt like I’ve was stepping into La Belle Epoque the moment I arrived to La Réserve Paris Hotel and Spa. It was everything I would imagine staying in one of the most exclusive homes in Paris would be like. 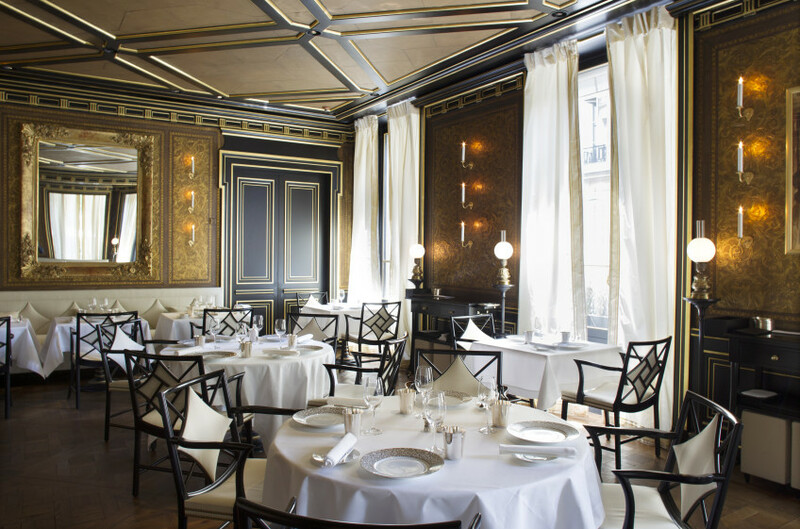 Having been to Paris many times staying in much larger palace hotels, I knew that I was staying in a hidden gem that you must experience on your next stay in Paris. Discreet in its location just off the Champs Elysees between Rue du Faubourg Saint-Honoré and Avenue Montaigne in the heart of the 8th arrondissement in Paris, Michel Reybier has created a ultra-luxurious private mansion style hotel, discreet in service and every inch glamorous. 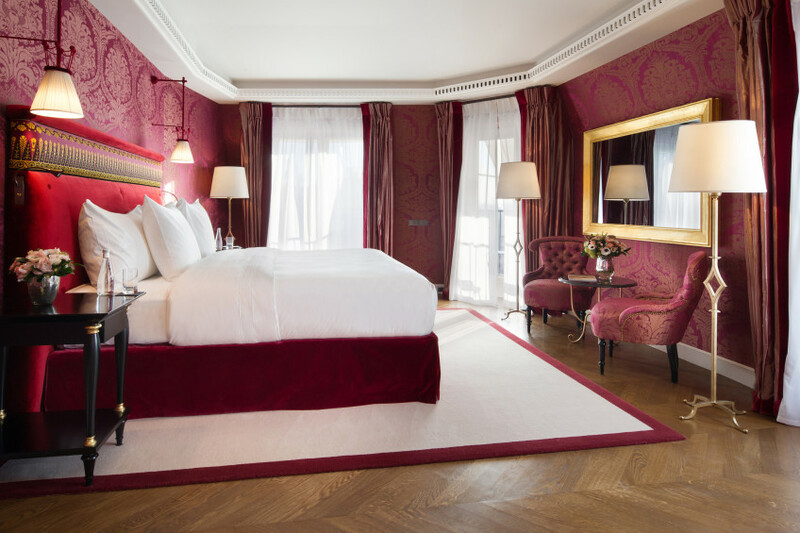 With its 26 rooms and 14 suites, it’s the epitome of Parisian chic, but as Nicolas, the Les Clefs d’Or head concierge says, “This is a place not for sleeping, but for dreaming.” Notably, this was once the former residence of Pierre Cardin. 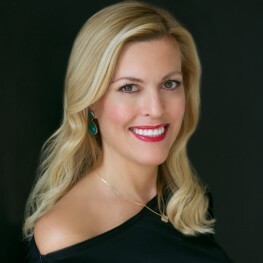 Each of the rooms and suites has a personal butler ready to cater to your every whim, from unpacking your suitcase to delivering the perfect room service meal from Le Gabriel. 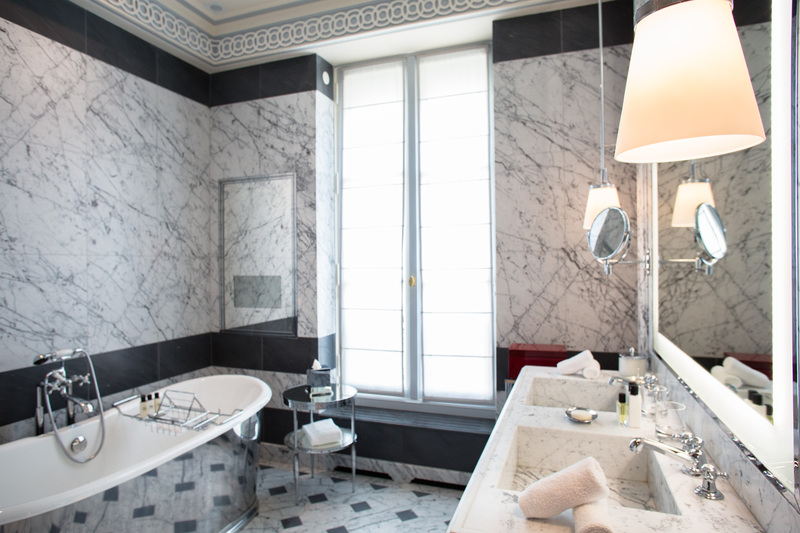 Ultra-luxurious bathrooms in Carrara and Turquin blue marble are spacious and bright. I found myself having the most indulgent lunch at the 2-Michelin Star Le Gabriel restaurant featuring classic French cuisine with a Japanese flair. Of note, the restaurant offers expedited service for business lunches (Michelin-starred dining doesn’t have to mean a three hour meal.) After a day of strolling Paris, there was nothing lovelier than relaxing to Executive Chef Jérôme Banctel’s second restaurant, La Pagode de Cos for Afternoon Tea and the most delectable French pastries. On the first Thursday of every month, you can enjoy an exclusive wine tasting evening here as well. 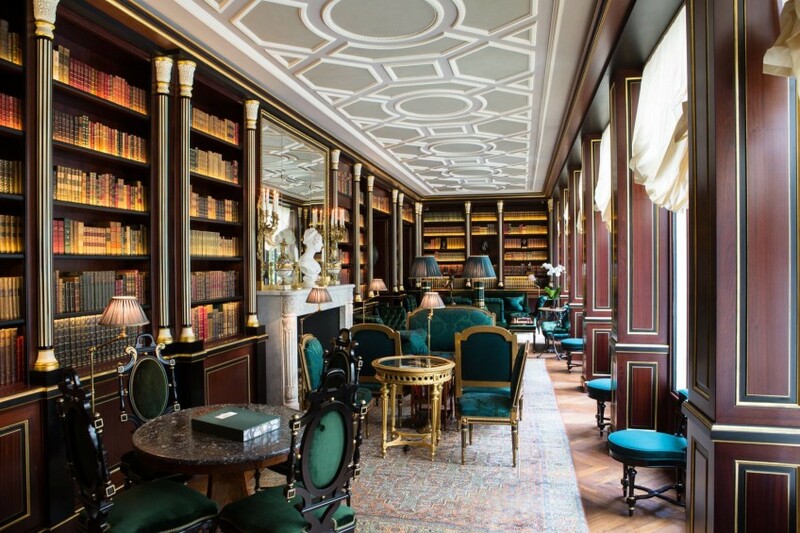 While this may be a boutique hotel, there were many beautiful areas to gather in the hotel from the stylish bar to the spectacular library. The Spa is an indoor oasis in the lower level of the hotel. I spent several hours by the 52 foot (16-meter) indoor pool – it was hard to believe such a spectacular pool lie underneath this boutique hotel. I felt like I was hidden away, yet here I was, in the heart of Paris. 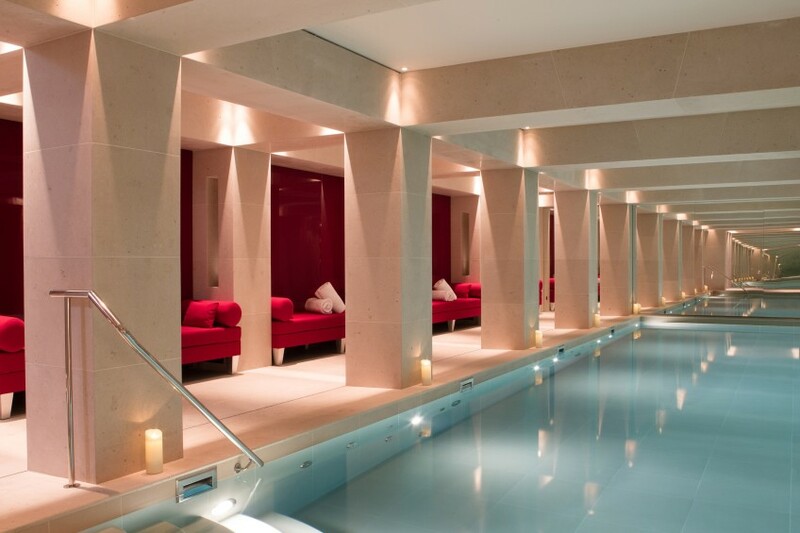 La Réserve Paris spa offers Nescens-Swiss anti-aging science cosmeceutical products and boasts the latest in tailored therapies from Jet Lag Recovery treatments to anti-aging corrective treatments. Simply blissful. 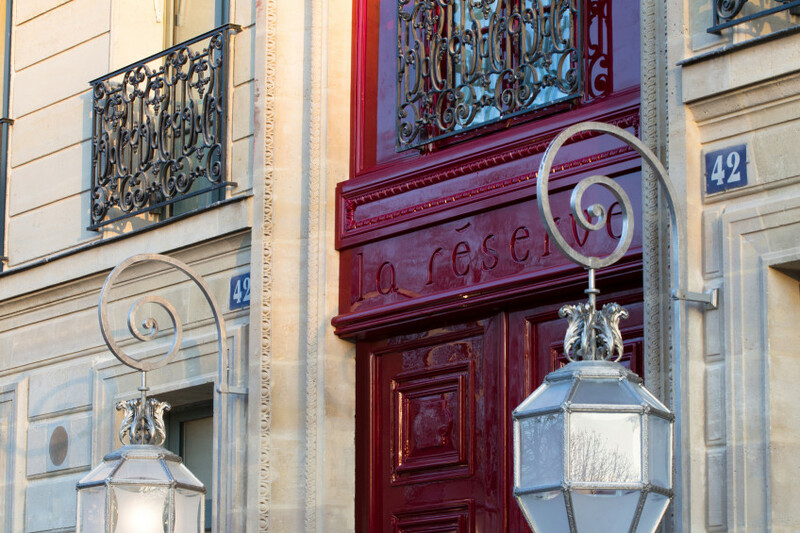 So the next time you are in Paris and would like to experience true Parisian luxury with a boutique style, those in the know stay at La Réserve Paris Hotel and Spa.